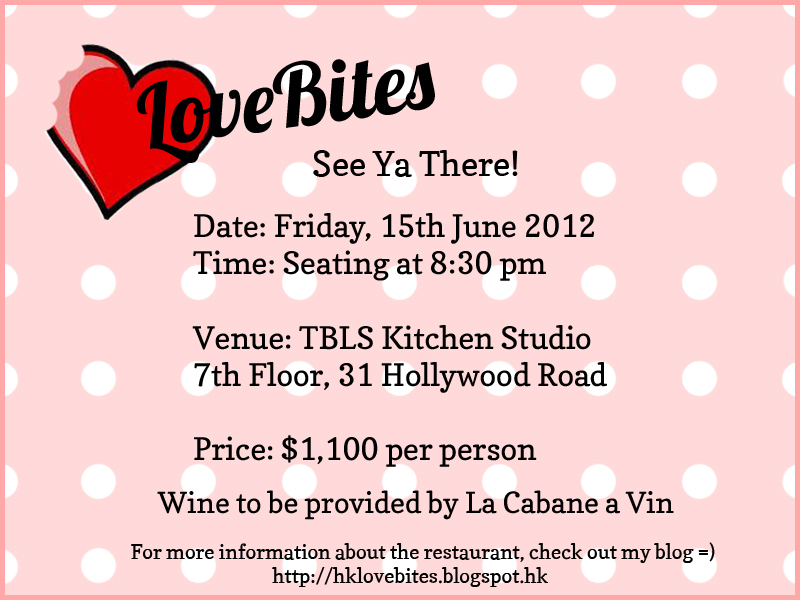 I’m very excited about my first event with a LoveBites logo, I’ve had many a dinner party at home before, but this one feels different. Whether it’s because it’s the first time I’ve booked out an entire restaurant, or because I’m choosing an exclusive provider for the wines, or just because it’s not just any dinner party…it has a name. I’m nervous, excited, and hungry. I really hope that for the sake all of my friends who are coming, that it will be a fabulous night! Please let me know when you organize the next one, I want in!! !